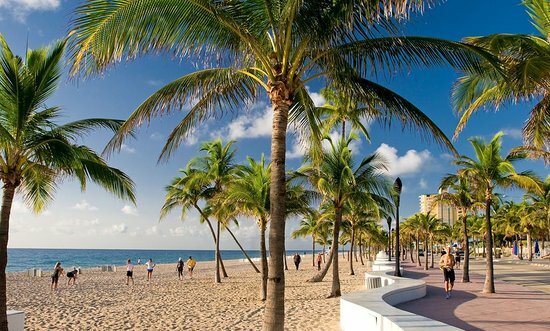 Fort Lauderdale’s canals and charm have earned it the nickname “The Venice of America.” The beaches offer 23 miles of golden sand, lively with the spirited antics of happy vacationers. Sail the blue-green waters on a chartered catamaran, or dive beneath the surface to meet-and-greet the local sea life. Shopping and dining al fresco on Las Olas Boulevard is one of Fort Lauderdale’s greatest pleasures, thanks to adorable shops and prime people-watching.